This is not a history of a church alone. This is a history of a community, the people, and their faith in God. Back in 1872 families did not live as close together as they do now. Roads were bad and greater stretches of open land lay between houses. It was hard to go places, and as a result, families were more self-sufficient. They entertained themselves, and when they wanted closer contact with God, they read the family Bible, sat around the fireplace, sang, and said their prayers. But it wasn’t enough. Those stalwart and hardy families that settled the community knew that there was a need for a church where they could worship God together. They needed a place of worship so they put their heads together and got their pocketbooks out. They chose a little knoll of ground on the northeast corner of the William L. Parker land for their site. William L. Parker to D. H. O’Rear, James C. Prather, and J. R. Spence, trustees. For the consideration of seventy dollars ($70.00) paid to W. L. Parker he deeded a part of the southwest quarter of section seventeen, township 49 range twelve commencing at northeast quarter of said quarter section running south 78 yards then west 124 yards then north 80 yards to the place of beginning containing two acres or less. To be used for church purposes only and whenever it shall fail to be so used, it is then to revert to the owner of the southwest quarter 49 R. 12. The church they built wasn’t large, as was typical of churches at the time. 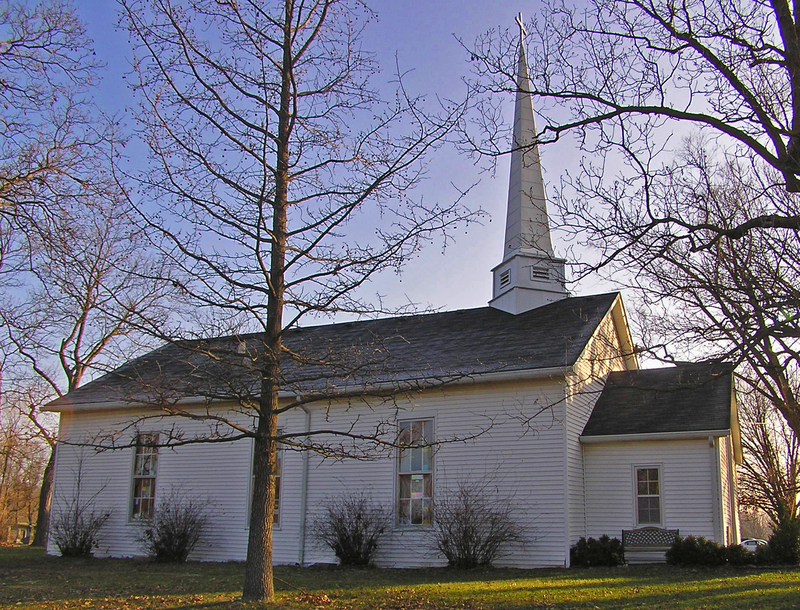 The building was erected at a cost of $2,400 and, although the structure has been renovated and expanded over the years, we continue to worship in the historic sanctuary built in 1872. Imagine this little white country church set against a background of green oak leaves, with the blue sky above. It lifted its face to the sun and gleamed proudly in its white paint. Because of the acres and acres of mighty oaks around it, and because they needed a name, the founders called it Oakland. Tradition tells us that two doors were built into the front of Oakland Christian Church, one was for the exclusive use of the women and one was for the exclusive use of the men. In the 1950s, the separate doors were removed and the entrance to Oakland Christian Church was remodeled, allowing for a wide double-door welcome.